SYNOPSIS: One girl's harrowing medical diagnosis connects the lives of eighteen people, like pieces of a puzzle gradually brought together to tell her story. In the process of walking a metaphorical mile in the girl's shoes, we follow the life journeys of the other characters, discovering their secrets and fears. 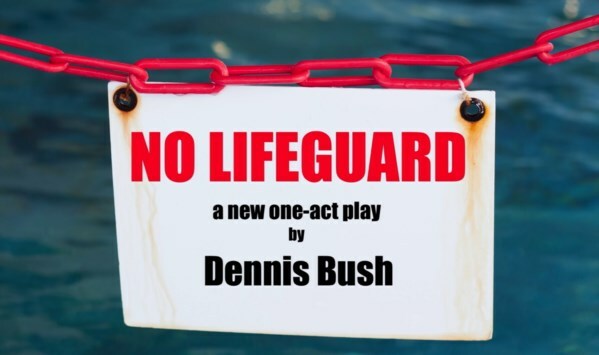 As one character in the play says, "Life is like a pool with no lifeguard on duty. We're all swimming at our own risk." 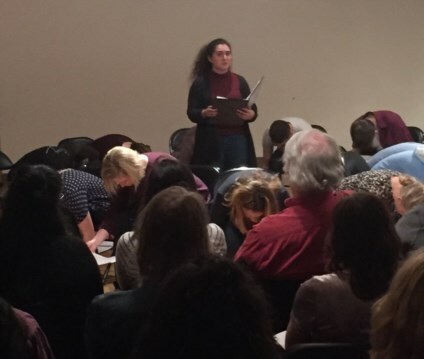 Elena Conti and cast at NYC premiere reading. 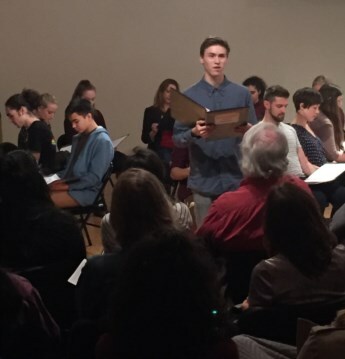 Nick Petrovich and cast at NYC premiere reading. 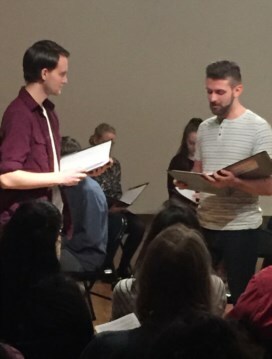 Blake Christopher Karnes and Nick Petrovich and cast at NYC premiere reading. 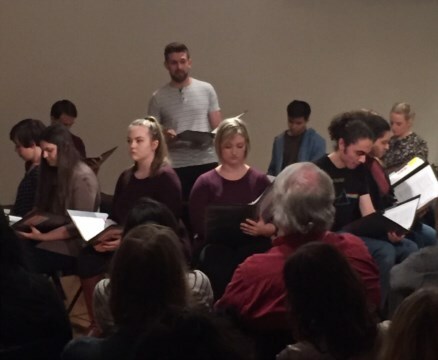 Ben Collison and cast at NYC premiere reading. 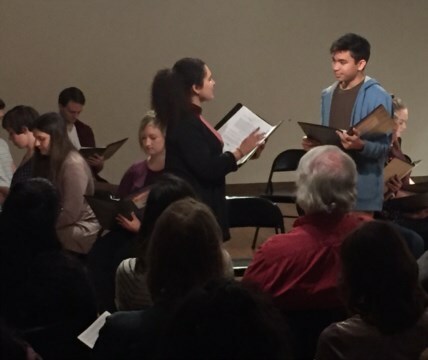 Elena Conti, Ryan Bernardino and cast at NYC premiere reading. 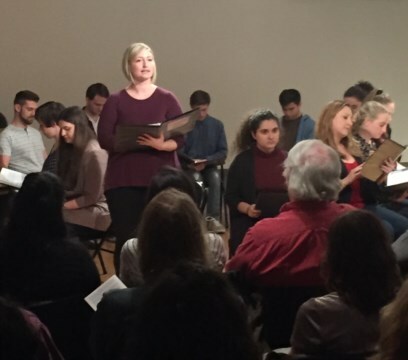 Hanna Leister and cast at NYC premiere reading. 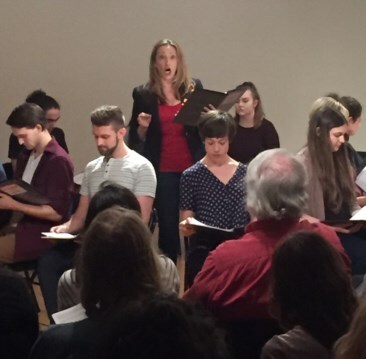 Melissa Teitel and cast at NYC premiere reading. 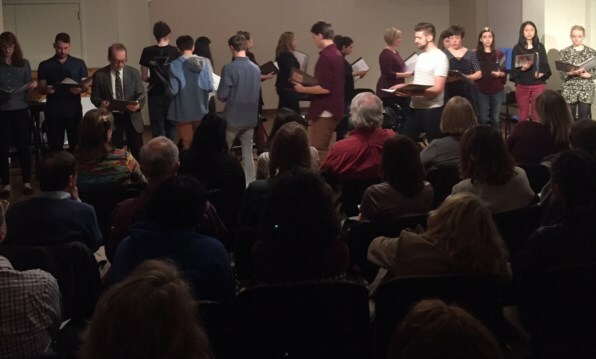 Full cast at NYC premiere reading.